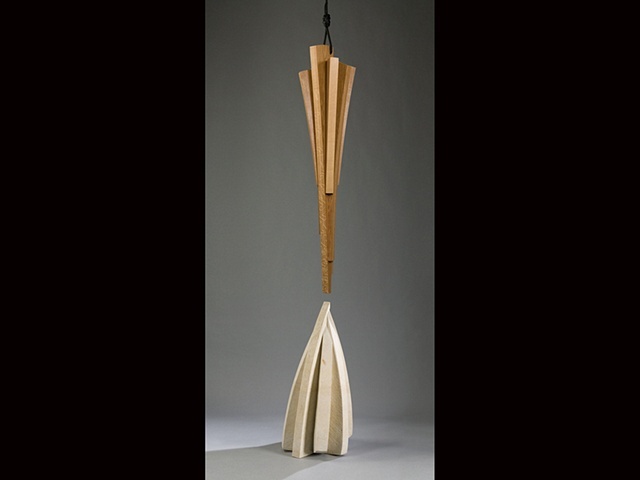 The pendulum of white oak suspended above the cone of Yellow Limestone refers to the flow of secrets between two entities. Characters inscribed into a facet of the wood trickle down the form and are deposited in a growing mass of secrets in the stone below. This piece can be seen in a lobby of the Lodge at Vail in Vail, CO.